Congratulations to B-L High School JROTC teacher 1SG Tim Covington on being nominated for the Smart/Maher VFW National Citizenship Education Teacher Award. Congratulations to B-L High School JROTC teacher 1SG Tim Covington on being nominated for the Smart/Maher VFW National Citizenship Education Teacher Award. The VFW Teacher of the Year contest recognizes three exceptional teachers (one elementary, one middle and one high school educator) from across the country for their commitment to teaching Americanism and patriotism to their students. 1SG Covington’s nomination comes from VFW Post 6740, which is located on Rock N Creek Road in Leesville. 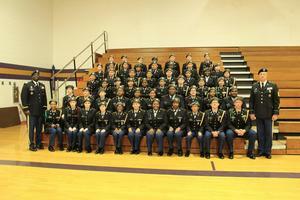 “It is obvious that any JROTC program promotes citizenship and Americanism through the program’s youth-oriented mission of ‘Motivating Young People to be Better Citizens,’ but Tim Covington has committed to lead, guide and mentor the cadets of the Batesburg-Leesville High School Panther Battalion for over fifteen years. High expectations are evident in all that he does, whether in the classroom or outside of the school for a special event. His dedication to teaching students about patriotism, flag etiquette, civic responsibility and traditions is second to none,” said Angie Rye, Chief Academic Officer for Lexington County School District Three. 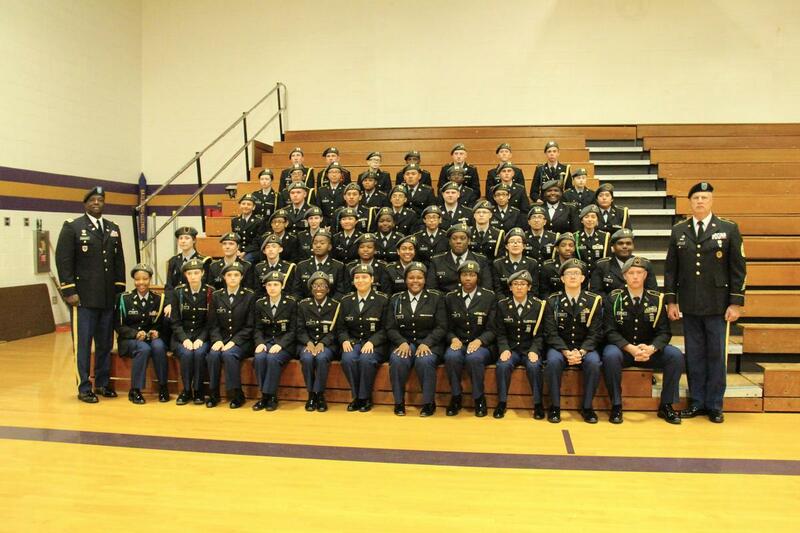 1SG Covington will now progress to the District Level for judging. Winners at this level will then advance to the Department (state) Level and from there to the National Level. The three national winners will receive: a $1,000 award for professional development expenses, a $1,000 award for his/her school, two award plaques (one for the teacher and one for his/her school), and an all-expenses-paid trip to attend a VFW conference to receive their award. The top ten high school teachers will also be invited to attend a summer Graduate Seminar at Freedoms Foundation in Pennsylvania. More information about the Smart/Maher VFW National Citizenship Education Teacher Award can be found by visiting www.vfw.org. Congratulations and best of luck 1SG Covington!